Patrick's Point State Park is 25 miles (40 km) north of Eureka, California in the heart of California's coast redwood country. The State Park was named for Patrick Beegan, an Irish immigrant who originally called it Patrick's Ranch. The park is home to many tree species including coastal redwoods, spruce, hemlock, pine, fir and red alder and wildflower meadows with a shoreline that consists of sandy beaches and sheer cliffs against the Pacific Ocean. It is located in Humboldt County. Amenities include hiking trails, a recreated Yurok Village, a native plant garden, visitor center, three family campgrounds, two group camps, a camp for hikers and bicyclists, accessible beaches, lookout points, and three group picnic areas. There are conflicting stories as to how the park got the name. The dominant narrative follows the story of scout Patrick Beegan, an Irish immigrant who came from the Mississippi Valley in 1851. After encountering wild potato (his favorite national food), "Old Patrick," as he was known to the residents of the Trinidad area, decided to stop and file a preemption claim to the land. The other account follows the story of Patrick McLaughlin, a squatter who arrived in the area in the 1870s. He is credited as planting the first apple trees in the area. Patrick Beegan's claim to the land was first recorded in the Trinidad Record Book on January 13, 1851. The first official mention of Patrick's Point on the Humboldt County map was 1886. Efforts to protect the wooden region and coastal rock formations led to the establishment of Patrick's Point as a state park, ultimately encompassing an area of 420.01 acres. ^ "Patrick's Point SP". Parks.ca.gov. Retrieved 2013-12-31. ^ Turner, Dennis W. and Gloria H. (2010). 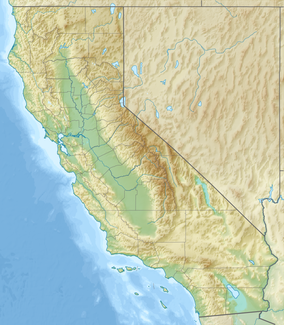 Place Names of Humboldt County, California. Orangevale, CA: Dennis W. and Gloria H. Turner. p. 185. ISBN 978-0-9629617-2-4. ^ a b Turner, Dennis W.; Turner, Gloria H. (2010). Place Names of Humboldt County, California: A Compendium 1542-2009 (Second Edition, Revised, 2010). Orangevale, CA: Dennis W. & Gloria H. Turner. p. 185. ISBN 978-0-9629617-2-4. 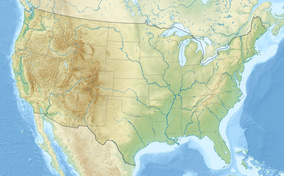 Wikimedia Commons has media related to Patrick's Point State Park, California.